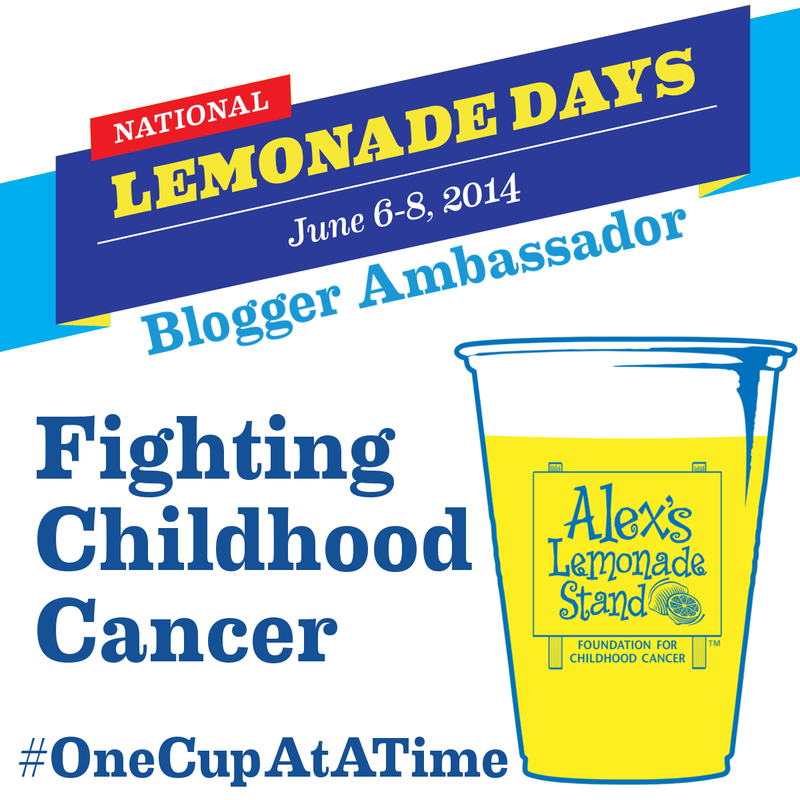 Host Your Own Alex’s Lemonade Stand During National Lemonade Days! Did you know that every year an estimated 263,000 children under the age of 20 are diagnosed with cancer worldwide? Childhood cancer is the leading cause of death by disease in children under the age of 15 in the U.S. Yet, less then 5% of the government’s funding for cancer research is dedicated to childhood cancer. Those are some scary statistics! One way to help is through organizations like Alex’s Lemonade Stand, which raises money to help fund research for childhood cancer. They also provided resources for children fighting cancer and their families. This organization was started by a young kid, Alex, who had cancer and started selling lemonade to raise money to find a cure. Her legacy lives on as people all across the country can now host their own lemonade stands and donate the money they raise as well! It contains a bunch of stuff to help me with my stand including signs to promote my stand, informational materials to hand out, a children’s book about how it all started and even balloons and bracelets to decorate with! It also comes with a coupon for free lemonade to kick start the process! The kit also comes with this huge sign to hang on your stand so people walking by will know to stop and check it out! You can host your own lemonade stand by simply going to Alex’s Lemonade Stand’s website and signing up! After you sign up you will be able to share your fundraising page with your family and friends through email, Facebook and Twitter. You will also receive your lemonade stand kit in the mail soon after! The National Lemonade Days event takes place from June 6 -8, where lemonade stands will be hosted nationwide, so the sooner you sign up, the sooner you can receive your kit and get your stand ready! If you don’t want to host your own stand, but you still want to help out, you can go to my fundraising page to donate to Alex’s Lemonade Stand! Love these kits. Alex's lemonade stand is by far one of the most inspiring social good initiatives EVER. Alex's Lemonade is one of my favorite foundations, such an inspiring story and the money really goes to help fund research. We have our own kit and can't wait to sell some lemonade! I love Alex's Lemonade. I also love your cute sign holder. What a sweetie! : ) Thank you for making a difference. What a great idea! A very close friend's son was just diagnosed with cancer! I think we'll host an Alex's Lemonade Stand fundraiser in his honor!!! 🙂 Thanks for the great idea! What a cute lemonade stand kit! Good luck with the fundraising! Great Stuff Rachel and best of luck in your effort for such a worthwhile cause!